90% of attendance is compulsory. No Condonation is allowed. PRAYER : This writ petition is filed under Article 226 of the Constitution of India to issue a writ of Mandamus to direct the respondents to prescribe working hours, weekly off, leave including maternity leave, holidays, etc. for the post graduate degree students in the medical colleges affiliated to respondent 3-Tamil Nadu Dr.MGR Medical University, Chennai within a time as may be fixed. By way of this public interest litigation, the petitioner who is undergoing his post graduate M.S. degree course in Tirunelveli Medical College and Hospital, has sought for a direction upon the respondents to prescribe working hours, weekly off, leave including maternity leave, holidays, etc. for the post graduate degree students in medical colleges affiliated to the third respondent University. 2. The case of the petitioner is that a candidate, who joins a post graduate programme in any one of the affiliated colleges of the third respondent University, is compelled to work for 24 hours on all 365 days and the third respondent University has failed to frame any regulation to regulate the working hours, and no provision has been made by the University as regards the leave entitlement and the University has totally ignored the relevance of reasonable working hours and need for rest for the students. It is further stated that the Medical Council of India has framed regulations and under Regulation 13.3, there is a duty cast upon the University and the State Government to frame leave rules for such post graduate students. The petitioner has placed reliance on the residency programme, which has been implemented by the Government of Kerala by G.O.Ms.No.20, dated 13.01.2009, and submits that the students undergoing post graduate course of study in Kerala State get 20 days casual leave in a year and 15 days special leave to participate in the conference and seminars and maternity leave upto 4 months with full stipend for women and weekly off for one day. The petitioner further states that the residency scheme in JIPMER also stipulates that working hours should not exceed 12 hours at a time. Thus, the petitioner states that the respondents should frame regulations by prescribing working hours for the post graduate degree students in the medical colleges affiliated to the third respondent University. 3. The Medical Council of India (MCI) have filed a counter affidavit inter alia contending that in exercise of powers conferred under Sections 20 and 33 of the Indian Medical Council Act, 1956, the MCI has published the Post Graduate Medical Education Regulations, 2000, which was approved by the Government of India and as per clauses 13.2 & 13.3, of the said regulation, all candidates joining post graduate training programme shall attend not less than 80% of the imparted training during each academic year and the matter for grant of leave to post graduate students shall be regulated as per the respective State Government Rules. It has been further stated that this Court exercising jurisdiction under Article 226 of the Constitution of India, would not be justified to substitute its opinion over the opinion of the expert bodies created under the statue. 4. The third respondent University in their affidavit have stated that an expert committee has framed regulations for cut off date for admission to Under Graduate/Post Graduate/Diploma courses and percentage of attendance required to appear for the University examination. The said regulations were approved by the Standing Academic Board in its meeting held on 21.06.2010 and the same was approved in resolution passed by the Governing Council in its meeting held on 14.07.2010. Further, the expert committee in its meeting held on 11.08.2010, after making necessary scrutiny and deliberations have framed the regulation with regard to leave to the post graduate students to the effect that the cut off date for admission to Post Graduate Degree/Diploma course is 31st May of every year, the classes will commence from 1st May of the same year and the University examination will commence from 15th April of the next year. 90% of the attendance of the course period excluding any kind of leave is mandatory for the post graduate students to appear for the University examination and there shall be no condonation for lack of attendance for post graduate degree courses. It is further stated that the expert committee has followed the same regulations as approved by the Standing Academic Board in its meeting held on 21.06.2010. With the above averments, the third respondent University prayed for dismissal of the writ petition. 5. Though the State Government has impleaded as the first respondent, and they have not filed counter affidavit. 6. Heard Mr.M.Radhakrishnan, learned counsel appearing for the petitioner, Mr.P.Wilson, learned Additional Advocate General appearing for the third respondent University, Mr.V.P.Raman, learned counsel appearing for the Medical Council of India and Mr.G.Sankaran, learned Special Government Pleader appearing for the respondents 1 & 4. 7. The learned counsel appearing for the petitioner would vehemently contend that the candidates, who are pursuing the post graduate programme in the colleges affiliated to the third respondent University are virtually treated like bonded labourers and compelled to work all 365 days of the year for 24 hours a day; they are all compelled to work for 36 hours continuously, which is not only conducive for the candidates, but detrimental to the patients, who are treated, since as the post graduate students, they are interns and on account of long working hours, the public are put to danger. The learned counsel placing emphasis on the scheme introduced by the Government of Kerala submits that a similar scheme/regulation has to be introduced in the State of Tamil Nadu. The learned counsel further placed reliance on survey reports, which were conducted in the United States as well as United Kingdom relating to extended duration of work shifts and submits that the survey has reported that on account of extended duration of work shifts has increased the risk of significant medical errors, adverse events and attentional failures in interns across the United States and the results have important public policy implications for postgraduate medical education. Therefore, it is contended by the learned counsel for the petitioner that time has come for the State Government to act and relieve such post graduate interns from such extended working hours. 8. The learned Additional Advocate General submits that the petitioner's contention that the post graduate students/interns are treated as bonded labourers, is ridiculous and the petitioner has lost sight of the fact that the students, who are pursuing their post graduate programme are to be actively associated in the treatment process either surgical or medical procedures and the patient is the study material and a duty is cast on them to be available to render assistance to team of Doctor under whom these post graduate students are attached. The learned Additional Advocate General further submits that the post graduate students are attached to a unit headed by a Professor and they are actively associated in the treatment process, which would equip them better to face future challenges. The learned Additional Advocate General would further submit that the reliance placed on the scheme implemented by the Government of Kerala is of no relevance, since under the scheme framed by the Government of Kerala a resident Doctor is a temporary employee, therefore, certain rules have been framed for the purpose of granting leave by the Government of Kerala and the nature of duties and responsibilities of an interns pursuing post graduate programme in the State of Tamil Nadu is entirely different and it cannot be compared to that of the State of Kerala. Further, the learned counsel placed reliance on the regulation framed by the University, which states that each academic year shall consist of not less than 200 working days and 90% attendance is compulsory. 9. It is seen that the Government of Kerala by G.O.Ms.No.20, dated 13.01.2009, issued certain directions for implementation of residency programme in Government medical colleges in the State of Kerala. The genesis of such programme is based on a report submitted by a one man committee and the Government accepted the recommendations made by one man committee and evolved a new scheme. It is significant to note under the scheme evolved by the Government of Kerala, a resident doctor has to function as the junior most staff member in the respective department to provide teaching and training and services to the patients and they are the first level managers of specialty departments. Further, under the scheme a resident doctor will be a temporary employee of the institution. The scheme has also fixed remuneration based on the nature of postgraduate study, which the candidate pursues. 10. As rightly pointed out by the learned Additional Advocate General, the postgraduate programme in the State of Tamil Nadu, as regulated by the third respondent University, is different from that of the programme in the State of Kerala. Under the regulations framed by the University called the Regulation for the M.S. Postgraduate Degree Clinical courses, it has been stipulated that each academic year shall consist of not less than 200 working days. The regulation also stipulates the attendance requirements and also specifically states that there shall be no condonation of attendance in postgraduate courses. Therefore, the petitioner may not be justified in approach this Court to direct the academicians to frame a scheme in line with the scheme implemented by the Government of Kerala. 11. As noticed above, the postgraduate residents in State of Kerala are being treated as temporary employees of the respective institution and thereby certain rules and regulations, which are applicable to regular employees have been extended to them. It is for the policy makers and academicians to decide as to what would be the best procedure/regulation to be adopted bearing in mind not only the excellent of education, quality of student training and more importantly safety of the patients. It is not in dispute that the students pursuing the postgraduate programme assist the team of doctors in the unit, which they are post graduate for administering the treatment to the patients. The concept of internship is "learn and serve". Therefore, if a postgraduate students is over worked and on account of fatigue, there is any error in the line of treatment, it would undoubtedly be against public interest. In our survey, extended-duration work shifts were associated with an increased risk of significant medical errors, adverse events, and attentional failures in interns across the United States. These results have important public policy implications for postgraduate medical education." "Working time restriction has been enforced by law in Europe and North America, decreasing the time that can be spent training in hospital. These regulations are driven by concern that fatigued trainees who have been deprived of sleep are prone to increased error when delivering care. .... Furthermore, truck drivers and airline pilots have far more restrictive duty hours than surgeons, and surgeons are not immune to the effects of sleep deprivation and unnatural circadian cycles associated with long shifts. It is also true that trainees' quality of life is improved with shorter hours of duty; they experience a decrease in depression scores and emotional exhaustion, have less risk of motor vehicle accident, have more time with their families, and more time to read." 14. We have referred to the above survey reports and study material with a view to impress upon to the respondent to take a fresh look in the matter bearing in mind that attentional failures in interns leading to medical errors may have disastrous consequences and ultimately affecting public health. Moreover the time schedule fixed in the Government hospitals as also corporate hospitals compelling the doctors doing post graduate courses/interns to work continuously 36 hours or even 24 hours at one stretch cannot be appreciated. 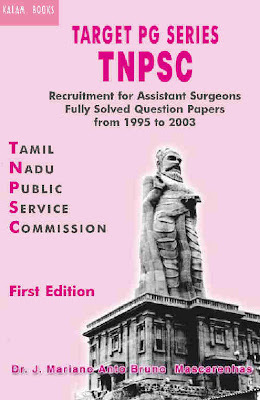 Therefore, the respondents may take note of the above study and if so advice could constitute a team to conduct a study on the conditions prevailing in Tamil Nadu and if the study report reveals a disturbing trend in error of diagnosis or treatment, the respondent shall revisit the matter and frame fresh regulations to regulate the pattern of the postgraduate programme in line with the programme schedule adopted in other countries. 15. For the above reasons, we dispose of the writ petition with the above observations. No costs. Consequently, connected miscellaneous petitions are closed. Date: 07/03/2011 This Writ Petition was called on for Judgment today. Mr. Chinmoy P. Sharma, Adv. Amicus Curiae Mr. T.R. Andhyarujina, Sr. Adv. For Petitioner(s) Mr. Shekhar Naphade, Sr. Adv. For Respondent(s) Ms. Sunaina Dutta, Adv. Mrs. Justice Gyan Sudha Misra. is placed on the file, the writ petition is dismissed. for India for the Union of India Mr. Vahanvati, Mr.
for the State of Maharashtra. petitioner Aruna Ramachandra Shanbaug by one Ms. Bench decision of this Court in Gian Kaur vs.
to go deeper into the merits of the case. 16.12.2009 to all the respondents in this petition. Medical College and General Hospital. As per the request of Hon. Justice Katju and Hon. picture of the patient’s condition. from the Dean and the medical and nursing staff of K. E.
examinations performed by the panel. ward-4 who has been looking after her. sweeper of the hospital on November 27, 1973.
vocal sounds and by waving her hands in certain manners. but she is gradually recuperating from it. her room and it has calming effect on her. she is in this bed-ridden state”. Shanbaug is living a painful and miserable life. appeared to be unaware of her surroundings. were present in the room. with no signs of respiratory distress or breathlessness. There was no pallor, cyanosis, clubbing or icterus. She was edentulous (no teeth). contractures (right more than left). A nasogastric feeding tube (Ryle‟s tube) was in situ. visual, somatic and motor primary neural pathways. continuously but was generally silent when undisturbed. hemifields but brisker and more consistent on the left. smeared on her lips, suggesting some tongue control. present at the ankles. Plantars were withdrawal/extensor. no signs of malnourishment. She appeared neat and clean. catatonic, hostile or violent behavior. she could cooperate when fed. verbally or non-verbally during the examination period. and her intellectual capacity could not be carried out. ventricles suggestive of generalized cerebral atrophy. seen in left centrum semi-ovale and right external capsule. also seen and is probably ischemic. the longest survivor in this situation. motor stimuli was observed during our examinations. available for the brain damage she has sustained. apparently to rub her left eye. Responsive Non-specific undirected without any goal directed activities. auditory, visual, somatic and motor stimuli was observed during our examinations. also handed over a CD in this connection. man would find it difficult to understand. in the report is also explained. appear before us on 02.03.2011.
views before the Court, if they so desire. India, Mr. Shekhar Naphade and Mr.
item on 2nd March, 2011”. Municipal Corporation Medical College and General Hospital). Ms. Aruna Ramachandra Shanbaug, dated February 14, 2011.
terms in the report is also explained. stem reflexes, and spontaneous respirations. (‘brain dead’) to allow their organs to be taken for donation. by application of vigorous sensory stimulation. life support to preserve life. wake cycles. .i.e. patients are awake, but have no awareness. by the partial preservation of conscious awareness. • Gestural or verbal yes/no responses (regardless of accuracy). environmental stimuli and are not due to reflexive activity. Cyanosis Bluish discoloration of the nails, lips or skin. interior surface of the eye, opposite the lens. Hallucinations Perception in the absence of stimuli. (e.g. haemoglobin level in the blood. tube as a life sustaining intervention) be permissible or ‘not unlawful’ ? futile care or a PVS, should his / her wishes be respected when the situation arises? years by the staff of KEM Hospital. Who should take decisions on her behalf? Honourable Court will provide guidance and clarity in this matter. behalf ('substituted judgment') are to be respected. influenced by personal convictions, motives or other considerations. lethal injection to end the life of the patient. treatments for a permanent vegetative state. last visit to her was on 22nd February, 2011.
she lies down on her bed listening to them. feed and now she is used to NG feeding. staff has given to her. duty but as a part of feeling of oneness. Hospital who have cared her in succession. Dr. R.J. Shirahatti, Dr. Smt. N.A. her and seen her through her ups and downs. till her last breath by natural process. part to make a comment on the entire case. 12. The Hospital staff of KEM Hospital, Mumbai e.g. night. What they have done is simply marvelous. looking after her for years, claims to have. right of every Indian citizen”. illness but a glowing vitality”. mean the existence of such a right upto the end of natural life. die' an unnatural death curtailing the natural span of life. curtail the natural span of life”. Aruna Shanbaug should be allowed to die. to life includes the right to die is not correct. Kaur’s case beyond what we have mentioned above. live in her present state. in them and large scale disillusionment. cannot be permitted at the instance of Ms.
reinforced by a Constitutional right of privacy). anticipation of his incompetent situation. patient would have made if he was competent. in relation to incompetent adults. life is artificially prolonged by such life support. in UK, USA and India. and the immediate relatives coincide. is not a crime vide Gian Kaur’s case (supra). the proposed omission by doctors is not unlawful. have looked after her for so many years. the Dean, KEM hospital, Mumbai submitted that Ms.
filed such a writ petition. deserve our compliment and thanks. from a patient in coma. under section 306 IPC (abetment to suicide). painlessly dies in this deep sleep. 44. The difference between "active" and "passive"
did not do X today would have to be arrested. "because I didn't do my homework." order to put down one’s gun. which we shall presently discuss. physician and the applied method of ending life. regarding euthanasia (a "euthanasia directive"). charges if this Groningen Protocol is followed. some other person administers it. likely to have access to suitable drugs. requiring the involvement of a physician. it is legal under certain conditions). do not have money for such treatment. in charge are following the regulations. the states of Oregon, Washington and Montana. old, and must have decision making capacity. months or less to live. to who may act as a witness. which may impact his judgment. authorities have to be informed. that would be sufficient to cause death. physicians are prohibited from administering it. vs Oregon decided in 2006.
persons have had euthanasia in Oregon. means of taking his or her life. Court in this connection is Sue Rodriguez v.
to allow someone to aid her in ending her life. expectancy was 2 to 14 months. The Canadian Supreme Court was deeply divided. By a 5 to 4 majority her plea was rejected. situations may result in passive euthanasia. which need not be decided in this case. individual personality, had departed forever. "the locked-in syndrome" and "brain death". eyes are open, he cannot see. He cannot hear. brain should occupy is full of watery fluid. functions were regulated by a catheter and enemas. artificial means of medical care was continued. High Court to resolve these doubts. of Lords which then decided the case. case of Aruna Shanbaug before us. designed to keep him alive. medical opinion takes the view that if a P.V.S. thus allowing him to die. as not being of benefit to the patient. (unless there is legislation which permits it). of the patient’s family and the public. patient will shortly thereafter die. reasons in my own words. and Ethics, (1988)), especially at pp. 351-2, and the material there cited). (D.S. Intervene); W v . W  A.C.
24, 43, per Lord Reid; and Sidaway v .
 AC 871, 882, per Lord Scarman). his patient must likewise be qualified. should be discontinued: see Nancy B. Refusal of treatment)  3 W.L.R. complied with his patient's wishes. whether or not to consent to treatment. such absolute rule were held to exist. continue in a hopeless case'. being administered by the doctor. given by Thomas J. in Re J.H.L. might shorten his life still further. accepted in this country and overseas. prolongation of his life depends. Thomas J. in Re J.H.L. at pp. 21- 22.
not in his best interests to do so. since such an act would not cause the death. which formerly belonged to the King. 79. The two most significant cases of the U.S.
vs. Glucksberg 521 U.S. 702 (1997) and Vacco vs.
Quill 521 U.S. 793 (1997). 83. In Cruzan v. Director, MDH, 497 U.S.
bearing the cost of her care. [497 U.S.
consent is generally required for medical treatment. right not to consent, that is to refuse treatment. should continue or not e.g. if he is in coma or PVS. this connection, often taking diverse approaches. right to self determination and informed consent. life support should be withdrawn. Airedale’s case nor in the present case before us. attempt to suicide is not a crime. does not include the right to die (vide para 33). euthanasia could be made lawful only by legislation. from the Indian Penal Code. an incompetent person e.g. a person in coma or PVS. should give consent for withdrawal of life support. eliminated by some crooked method. replace the ones sheared apart in the car crash. died (see Terri Schiavo’s case on Google). revive in the near future. 105.It is alleged in the writ petition filed by Ms.
is amputed, he can get an artificial limb. one is dead when one’s brain is dead. part has been irreversibly damaged). is worthwhile to look at how death was understood. 1 Black's Law Dictionary 488 (4th ed., rev. 1968). which require a great deal of blood to survive. Not-so-Uniform Definitions of Death, 61 U. Miami L. Rev. 871. (2007). Japan, 17 UCLA Pac. Basin L.J. 91, 96. (1999). breathe spontaneously”6, would be considered dead. system ceases to contribute a uniform whole”. Fictions in the Determination of Death. 36 Am. J.L. & Med. 540 (2010). perform the fundamental human work of an organism. the American Uniform Definition of Death Act, 1980.
amount to committing judicial murder. throws some light on the meaning of brain death. well and could see her doctors who examined her. paste sticking on her upper lips and swallowed it. incompetent to take a decision in this connection. Attorney General that it should never be permitted. Parliament makes a law on the subject. KEM hospital staff to take that decision. should be allowed to live. otherwise grab the property of the patient. qualified to take on this role. taken over in modern times by the State. unable to care for themselves”. but is also entitled to issue directions or orders. AIR 1989 SC 1607 (vide para 18). should be a psychiatrist, and the third a physician. fees for this purpose may be fixed. report to the High Court Bench. notice to the State and close relatives e.g. relatives and persons close to the patient. which shall not be summary in nature. Mr. Chinmoy P. Sharma, advocate, Mr. T. R.
Corporation Medical College and General Hospital. 146.We also wish to express our appreciation of Ms.
so many long years. Every Indian is proud of them.